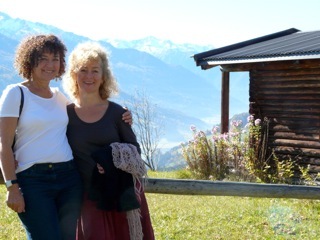 Dance in the Mountains! LAST MINUTE! SUMMER DANCE WEEK 1 – 7 JUNE. THERE ARE STILL PLACES AVAILABLE! We have been coming here for twenty years to explore and enjoy the many facets of Raqs Sharqi (Traditional and Modern Egyptian Dance) – for sumptious weeks of dance, meeting friends and dance colleagues from several countries, good food and relaxation in a glorious setting. Our focus this year is to go deeply into the essence of this extraordinarily beautiful, earthy, yet elegant dance. Here we can experience the excitement of the dance and yet remain peaceful, and stable in our core. On yogic principles, we focus on body awareness as well as on technique so that our dancing becomes effortless and totally charismatic. We will work on deepening our understanding of the music and culture of Egypt gleaned from Erna’s and Liza’s travels in Upper Egypt, so honouring the people and particularly the musicians of that troubled land. The dance week is for all levels and all women. 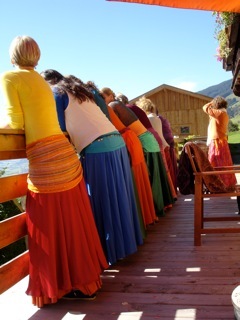 The week consists of dance, body work, one to one help, a party and excursions into the wild flower meadows above the tree line of the mountain peaks. Beginners will find it a restful and enjoyable introduction to the dance, and the more experienced will find new perspectives, deeper understanding and inspiration for their continued development. The total cost for teaching and accommodation is 864 Euros – 480 Euros to be paid on application (for the teaching) and 384 Euros in cash on arrival (for accommodation). PLEASE BOOK WITHOUT DELAY IF YOU WOULD LIKE TO BE SPONTANEOUS AND COME! In these workshops we will explore the two ends of the rich spectrum of Egyptian Dance. SAIIDI, the dance of the people of Upper Egypt (around Luxor), that is where we will begin on Saturday. Darabuka, Rababa, Mizmar, instruments unchanged over time, will earth us, encourage us to feel the ground beneath our feet, the whole body responding to the energy of the driving, pulsating rhythms and haunting, evocative melodies. It links us to an ancient Egyptian tradition. 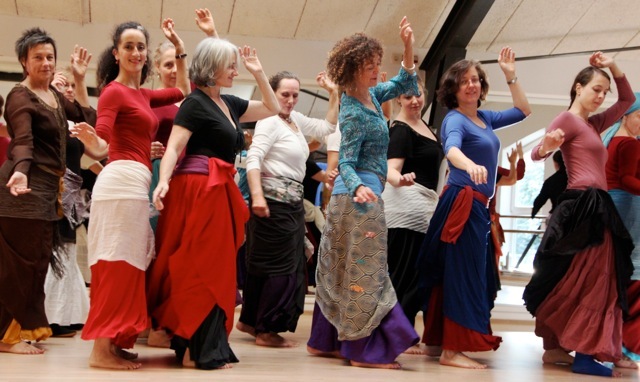 Sunday’s CLASSICAL ( SHARQI) workshop will take us to the other end of the spectrum – and even further as we learn the charismatic, refined expression of the COURTLY style of the Classical form. This was a style developed by Suraya Hilal in the 1980s and 90s and therefore could be considered ‘modern’. However, as there are practically no records of how women danced to the old classical music of the Arab world we have to assume that the movements that were used were those that best expressed the delicacy of the Kanoun (zither) and Riq (small frame drum). It is a beautifully refined and very feminine style in which the dancer can be exquisitely simple in her dance or intricately inventive according to her mood. The weekend is dedicated to the evocative yearning songs of the great singer, Oum Kalthoum, whom the Egyptian people so loved. 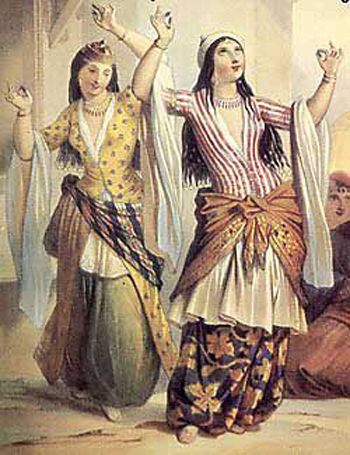 The full orchestra of this music requires us to dance the Classical (Sharqi) form, elegant, refined and very expressive. On Sunday, the Classical veil, the flowing, framing, enfolding of beautiful fabric, will give a further lyrical dimension to our dancing.